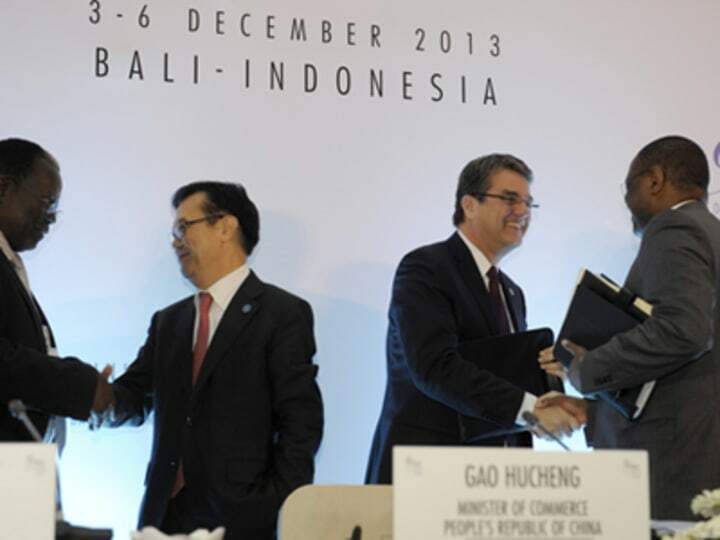 Two months after the World Trade Organization’s 159 member states signed in Bali a landmark deal to reduce trade barriers worldwide, details on implementation — and the technical assistance promised by donors to developing countries — are still unclear. The trade facilitation deal has been heralded as a “triumph of the multilateral system” and a “win-win” for rich and poor nations alike. Proponents of the agreement, the most significant of the three areas included in the so-called “Bali package,” claim the streamlining of customs systems alone could add $1 trillion to the world’s economy, and about half of that would go to developing countries. But at a recent panel discussion at the Center for Strategic and International Studies in Washington, D.C., experts raised the issue of donor commitments to help fund technical assistance and capacity-building to implement the deal’s requirements in developing nations — where that funding will come from and how it will be coordinated remains to be seen. When the panelists reviewed the finer points of trade facilitation policy, a clear theme emerged: as tricky as it is to negotiate a trade deal, implementing it may be even trickier. Although donors have established a number of capacity building efforts for customs and trade to date — for instance, the World Bank has a multi-donor trust fund for trade facilitation — the Bali agreement will require more substantial efforts. Panelists and audience members pointed out that efforts to facilitate trade have been included in past free trade agreements and some of those have gone nowhere. “What makes this agreement different from the FTAs that we had bilaterally is that this agreement has donors commit to specific money, and so then it’s being able to use that as effectively as we can,” said Ana Guevara, a former U.S. executive director to the World Bank. Dawn Shackleford, a deputy assistant U.S. trade representative who helped negotiate the deal, explained that the bottom-up nature of the negotiations meant that follow-through would be more certain, but she recognized the challenges. “The buy-in I think is there, and the resources are there, the challenge is coordinating those resources and coordinating the donors,” she said. Dan Runde, the director of the center’s Project on Prosperity and Development and panel moderator, was less optimistic that donors would pony up, especially given the competition for funds and the lack of coordination between trade policy and development policy in donor countries. Paul Stephens is a Devex staff writer based in Washington, D.C. His coverage focuses on Latin America and World Bank affairs, as well as Washington's global development scene. As a multimedia journalist, editor and producer, Paul has contributed to the Los Angeles Times, Washington Monthly, CBS Evening News, GlobalPost and the United Nations magazine, among other outlets. He's won a grant from the Pulitzer Center on Crisis Reporting for a 5-month, in-depth reporting project in Yemen after two stints in Georgia - one as a Peace Corps volunteer and another as a communications coordinator for the U.S. Agency for International Development.